The instruction manual's exactly that, so be sure to read it. But he lacks a tie. An ordinary tie will not do. Tales of a fabled tie. A tie broken into many pieces. Pieces scattered within a maze. This is where he has come. He has come to the maze. 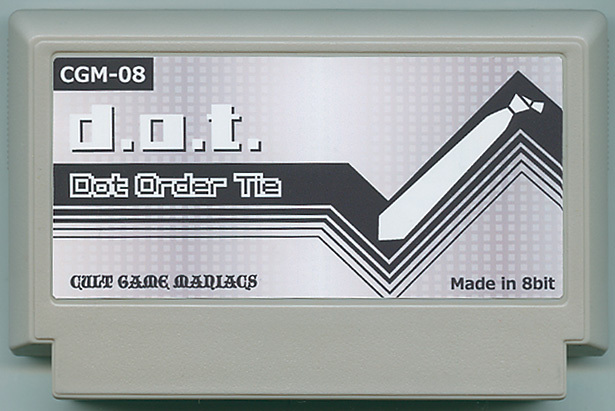 The maze of the Tie. The Tie you must find. For this man is You. I'm guessing they are in Dots, and you get them in an Order, thus finding the Tie? The maze is entirely built, and will be populated with 999 tie dots to find. Are you skill can total collect? 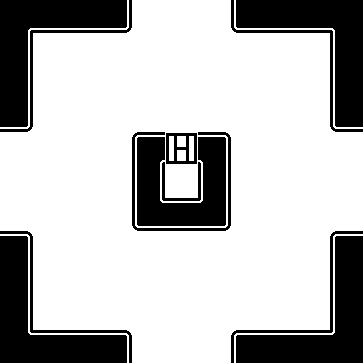 After some deliberation, I got a minimap together and working, along with all the dots in the maze. I can't show it, of course, because exploring the maze is almost the entire game. I lack talent for making nice sounds, so I have a friend of mine putting together a tune or two so the experience isn't totally silent like most of my other projects. Getting close to completion now, finishing touches. This looks great! I can't wait to play. I saw the deadline had been extended by a week about an hour before I finished. At that point I was too close to make any modifications so I decided to just finish it as planned. I was too slow, but I got the tie anyways. I can now go to almost any business meeting I want!!! I really like the nice clean design of this game. I would have appreciated some way to look at patterns that I have collected while in Door Lock mode. Pen and paper for a game is acceptable only if you have a real deal instruction manual with a "NOTES" portion in the back (with the exception of Myst ). Buy my dang game, Factory Hiro! Maybe make an 'in-game graph book', that allows you to draw a pattern and save it, and you can only hold one pattern at a time. How do you do this? I went into Door Lock mode on the build currently posted and pressed every key on my keyboard and the map didn't expand. Also, I tried opening the door while in map mode and this also didn't work. Nevertheless, I just learned F9 screenshots to a file which is pretty much what I want except for the fact I have to open the file outside the exe. I love this game. It's pretty awesome. Also, I downloaded the game and the zip file is like 26MB in size, of which 24MB are taken up by a single .wav file containing all the music in the game, which is only 1:28 long. So, yeah. I really like the visual theme you've got going here. I got a perfect tie! Woooo. How do you do this? I went into Door Lock mode on the build currently posted and pressed every key on my keyboard and the map didn't expand. Actually, you're right. I forgot I had to remove that due to massive bugs. Sorry for the misinformation. Why was my tie imperfect? Is there any way to resolve this?